The sun gives us life. We love to engage in active sports, experience nature, and watch the joy on children’s faces as they play in the great outdoors. Unfortunately, these enjoyable activities can cause sun damage, spots, freckles, solar lentigenes and other harmful effects that, over time, become unsightly and make you look tired and old. Part of a modern woman’s beauty regimen and men looking for a competitive advantage should include some way to restore the clean, clear, youthful look of skin without sun damage and pigmented spots. The IPL Photofacial Fort Lee and Hoboken residents are utilizing at Fort Lee and Hoboken Cosmetic & Laser Centers provides just that. Why should I trust Fort Lee MedSpa for IPL Therapy? Dr. T.G. Khan, board-certified physician and Fellow of the American College of Surgeons (FACS), takes special care to ensure that all patients at the Fort Lee and Hoboken Cosmetic & Laser Centers receive thorough counseling on their options. With innovative procedures like IPL available, as well as innumerable other rejuvenating procedures designed to improve the look of skin, reduce wrinkles, and ward off the signs of aging, he is able to satisfy a wide variety of patients with different aesthetic needs and goals. 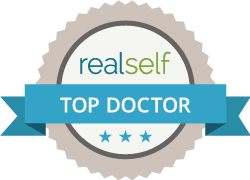 Staying abreast of cutting edge technologies like IPL Photofacials ensures that Dr. T.G. Khan is always offering the most up-to-date procedures for the maintenance of your skin’s health and beauty. Call Fort Lee and Hoboken Cosmetic & Laser Centers today, at 201.313.8899 to set up an initial consultation. You’ll be glad you called.